Getting married in the California wine country is an experience our brides and grooms treasure for eternity, and we are an expert wedding and event planner when it comes to these types of venues. There are so many romantic settings, scenic views, incredible wines, and exceptional caterers to choose from. We have planned events in vineyards throughout northern California, including the cities of: Sonoma, Napa, Murphys, Clarksburg, Lodi, and along the Sacramento Delta. At Viaggio Winery in Lodi, miles and miles from the small towns of Italy, we created a couple’s dream of an Italian/Versailles inspired wedding. This private estate is surrounded by vineyards, orchards, and the Mokelumne River; truly a setting for a romantic evening. Your wedding dream awaits at The Viaggio. Also in Lodi, at Oak Farm Vineyards, we planned a unique autumn wedding and reception—the ceremony began at two o’clock in the afternoon and we incorporated a variety of fall colors that complemented the natural beauty of the land. Patina green was brought out in the bridesmaids’ dresses; oranges, greens, and ivories were shown in a variety of pumpkins of different shades; and the table linens were underlays of chocolate and burnt tangerine, with burlap overlays that were woven with a swirl design. Along the Sacramento Delta lies Scribner Bend, a perfect venue for small and intimate weddings. The property owners are warm and graceful—which you feel the moment you walk into the vineyard surrounded venue. With a cool breeze from the river nearby and a touch of rustic farm ambiance, our brides and grooms love what Scribner Bend has to offer and how easily our décor complements the setting. For those brides envisioning a rustic/rugged/vintage wedding, The Old Sugar Mill in Clarksburg is the place. This venue is also along the Delta of the Sacramento River and not far from Downtown Sacramento. We adore its historic charm…it was a large sugar processing plant that has been transformed into a venue for special events and weddings. Venturing into the famous Napa Valley and Sonoma offers hundreds of options for special events. 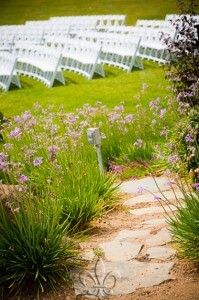 We’ve planned amazing weddings and receptions at Meadowood Resort and Spa (Napa) and Cornerstone Gardens (Sonoma). Meadowood is definitely for the culinary and wine focused couple who appreciates the seasonal menus created by world-renowned chefs. Croquet and tennis lovers also enjoy the sports experience here…while those looking to relax appreciate the award-winning spa. Cornerstone Gardens is an art-inspired property at the edge of Sonoma. For couples looking for something off the beaten path that is unexpected and fun, this venue keeps your guests guessing what is around each and every corner and hedge! Art galleries, unique shops, and a fabulous café await your arrival. Traveling in the other direction—up to the scenic Sierra Foothills—is Ironstone Vineyards (in Murphys). Our brides and grooms are drawn to the lush landscaping, water elements, and 12 unique ceremony and reception locations to choose from. It’s a photographer’s dream with its truly unique backdrops. 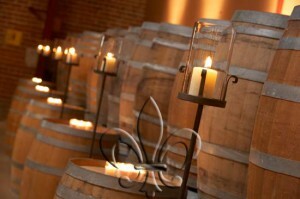 Très Fabu looks forward to planning a beautiful wine country event for you! Please Click Here to view our Wine Country Wedding Portfolio.